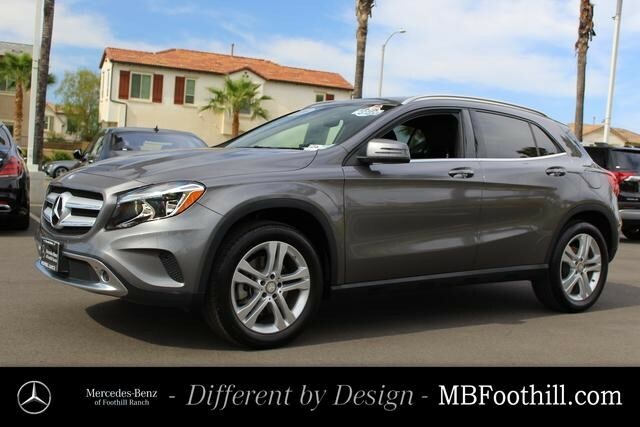 Mercedes-Benz of Foothill Ranch is offering this 1-Owner Certified Pre-Owned 2016 GLA 250W at a very competitive price! We welcome you into our world-class dealership to test drive the vehicle of your dreams and experience the very best in selection and service. Original MSRP priced at $34,955! Sculpted in Mountain Grey Metallic, our 2016 GLA 250W is the epitome of driving perfection! Delivering 258 lb-ft of torque, and 208 hp. Impressive fuel economy will give you more time on the road, and less time at the pump: 26 mpg/38 mpg/30 mpg combined (City/Hwy).